Inspiration from Iceland´s powerful glaciers became the exclusive pattern of the asa iceland White Frost collections. 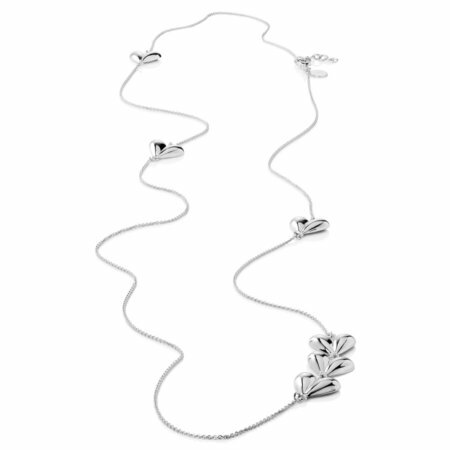 White Frost II’s long link necklace holds a special place in our newly redesigned collection. The silver bars capture light like snowflakes. 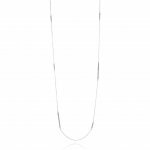 You can wear our long, sterling silver necklace can long and flowing or doubled around the neck. The choice is yours. Few places in the world have glaciers or mountain covered with snow year-round. 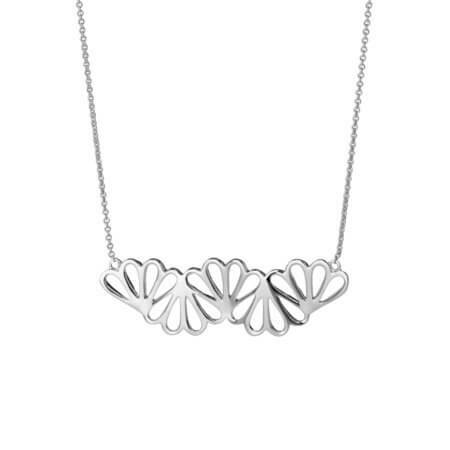 That’s why asa iceland takes this special gift and creates jewellery so you can wear a fantastic piece of art inspired by nature. 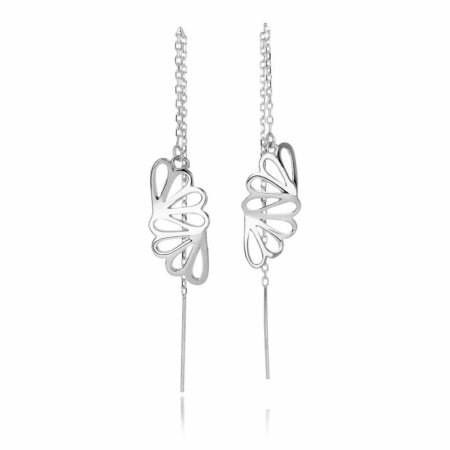 Although it matches any piece, we often pair this beauty with the White Frost ii ring, bracelet and earrings. asa iceland’s designs are whimsical and clean. This collection stems from Iceland´s powerful glaciers, which inspired the exclusive pattern of the asa iceland White Frost collections. 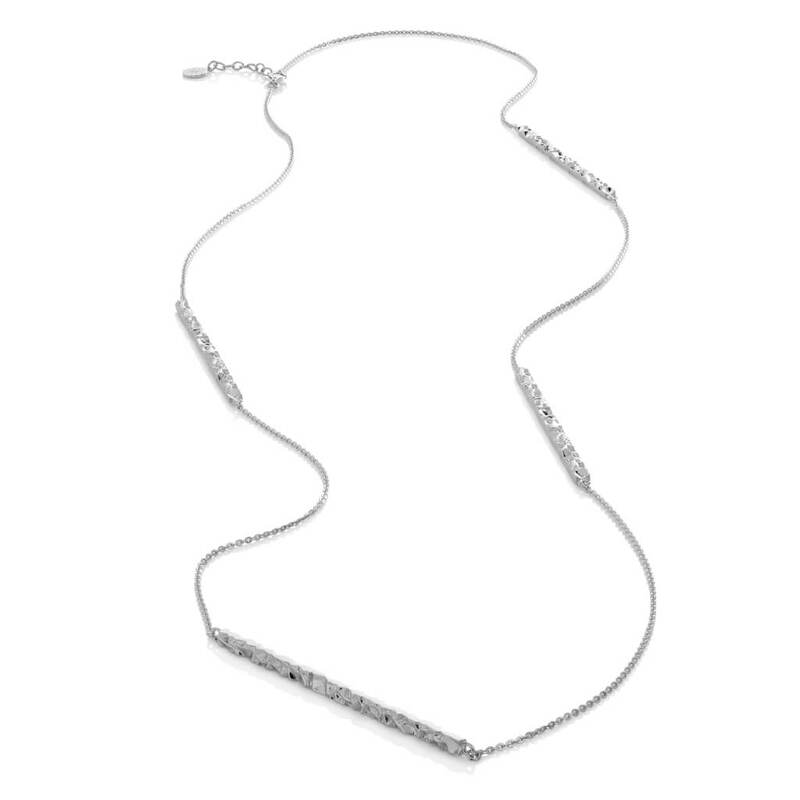 The clean lines of the silver bars gives the chain necklace a sparkling elegant feel. 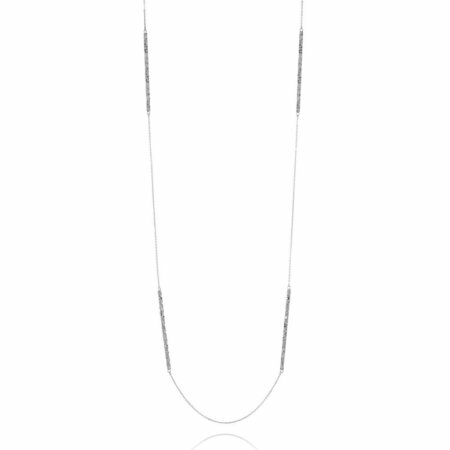 This necklace is long enough to be worn double. 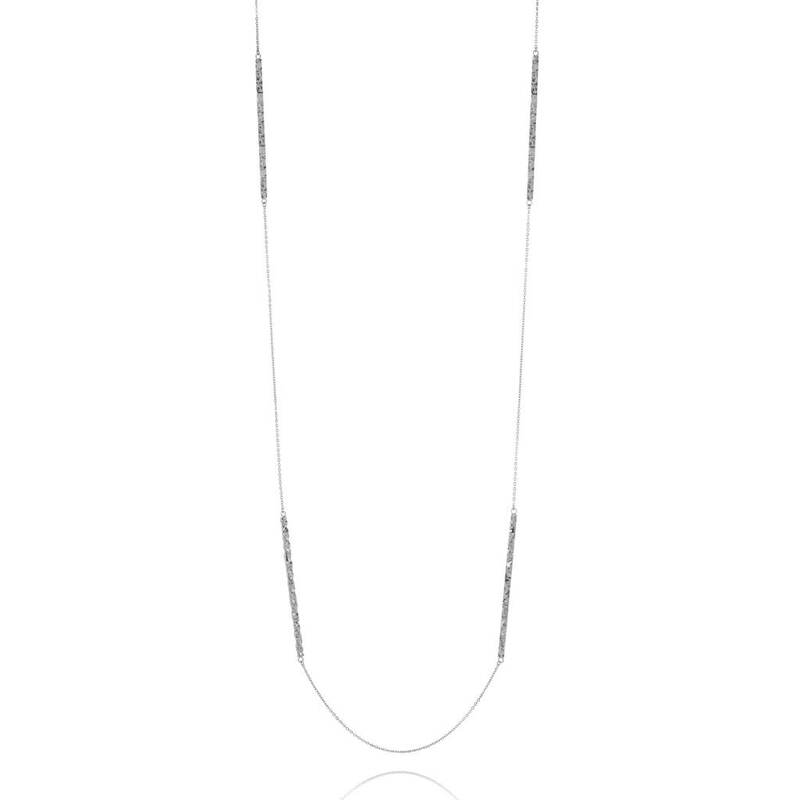 The White Frost long necklace is made from Rhodium plated sterling silver and a diamond cut sterling silver chain. 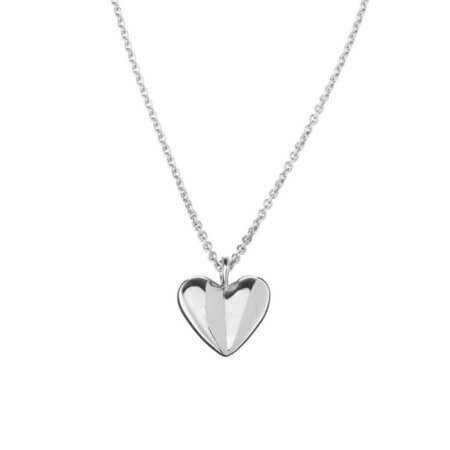 We hope you will enjoy this necklace for many years. That’s why we suggest you follow our care instructions carefully, so that it stays just like new.